UCS 5000 is business aviation’s first and only smart cabin system. More than a router, and well beyond an IFE service, UCS is a singular unit that orchestrates, manages and delivers today’s incredible array of data, voice, entertainment, information, and cabin management services. UCS 5000 is more than just a management maestro, it’s an operational marvel. It’s small. It’s affordable. It adds new features via software keys instead of hardware. 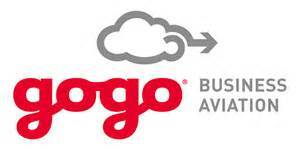 And it completely reinvents updating: wirelessly and automatically via Gogo Cloud.